Welcome to the weekly Top Ten list. Last week, John Campea did a top ten Pixar movies list but I decided not to do one as well since I have been following the topics of the Top Ten Show- John Rocha and Matt Knost. So instead, I wound up doing a movie review of Ratatouille, which I had never seen before and Campea had at #3. I said I would do the Pixar list when the Top Ten Show did theirs. Lo and behold, the next week… here it is. #10. Finding Dory. The sequel to Finding Nemo, featuring the side character of Dory sounded like a risky chance. Many times, when side characters get their own movies, you find out why they are meant to be side characters (psst. Minions). However, Dory did fall into that trap as the character, voiced by Ellen DeGeneres, was charming and funny. It was a huge financial success and beloved by the audience. I will admit that this was my last minute addition, knocking a different film off the list. This was a very good film and avoided any of the major problems some people thought was possible. #9. Up. I considered leaving this one off the list too, but in the end, the first ten minutes or so of this movie won out and it made the list. The first ten minutes of Up is just about the most emotional and gut punch of a film as you have ever seen. The remainder of the film is average unfortunately. Had the rest of the film matched the first part of the film, this could have been the best film of the studio. However, it is not. It is still somewhat decent and so…number 9. #8. Toy Story 2. The first of the Toy Story trilogy to appear on this list, Toy Story 2 was a solid sequel of the toys coming to life film. 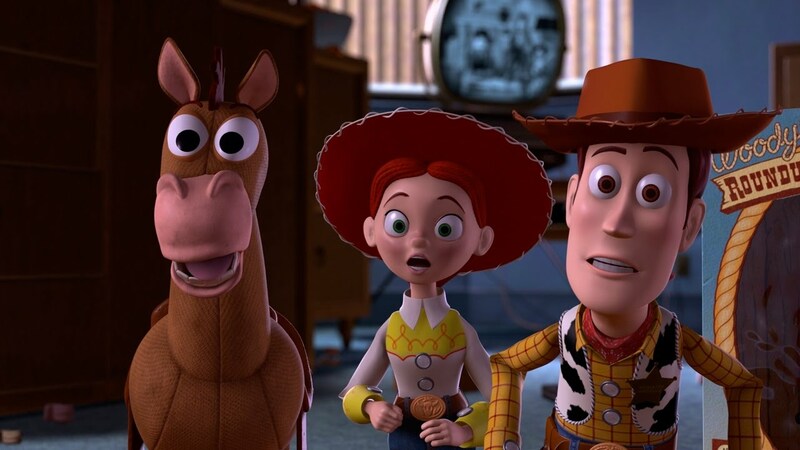 The film continued to focus on Woody as he finds his way to the other toys in his series, only to find out that he was a valuable collectable from a TV series called “Woody’s Roundup.” This was a creative way to continue the series and it also introduced us to the characters of Jessie the yodeling cowgirl and Stinky Pete (played by Joan Cusack and Kelsey Grammar, respectfully. #7. Ratatouille. The film that I just watched last week because I did not want to do a top ten list yet makes the list at #7. I enjoyed this film very much and I am glad that I finally got the chance to watch it. There were some things that I didn’t love (such as the constant yelling by Linguini), but I enjoyed the voice performance by Patton Oswalt and the use of the restaurant critic at the end of the film really brought the the heart it needed. I never thought a cooking rat would be so much fun. #6. Finding Nemo. When a little fish gets lost in the great ocean, his father takes off to try and find his son. The film has amazing characters, a dramatic story leading the characters through dangers (such as sharks) and so much emotion and charm that you can barely stand it. The story of family is so important throughout Finding Nemo and you cannot help but cheer for these fish. #5. Toy Story. The original of the trilogy has so much heart and set up one of the greatest friendships in movie history. Woody and Buzz meet each other and they become such close friends once Woody gets past his jealousy over the new and cooler Buzz’s arrival. The idea of the original is so creative and original and bring together the amazing Tom Hanks and Tim Allen in voice work. Toy Story really helped put Pixar on the map and helped lead the way to two fantastic sequels (and apparently another one on its way). #4. Coco. John Rocha did not put Coco on his list because he did not want to spoil it as they were going to talk about it. However, I have seen tweets from him indicating that he might put it at the top of a Pixar movie list. There is no doubt that Coco is tremendous. It is one of the most emotional journeys that you will ever take. The ending of this movie, while somewhat predictable, will not fail to tear you up, in a good way. Coco is a beautiful story of family and music. #3. The Incredibles. This is an amazing movie and perhaps the best version of the Fantastic Four ever seen. Yes, I know the FF is not actually in this, but the family super hero team is represented her brilliantly. The Incredibles have one of the greatest villains in any super hero film. Syndrome is so relatable and understandable for his motives and he is truly scary with how he went from fan boy to villain. Plus the line “Every one can be super. And when every one’s super, no one will be.” is one of the best villainous lines ever. Thankfully, they are finally getting around to making the long-overdue Incredibles 2. #2. Inside Out. I so loved this movie. The genius of the set up is so amazing. The emotions are inside your head and they are helping you live your life. There was so much creativity in this movie that I can’t even imagine how someone sat down and created it all. The functions that occurred in the brain is so clever that I could see ten more of these. However, there is no doubt that Bing Bong is the moment that reached into your heart and ripped it out. I bawled my eyes out every time I saw the film. And it was over an imaginary friend. Inside Out is brilliant. #1. Toy Story 3. Toy Story 3 is one of my favorite movies,not just Pixar movies, but movies of all time. Toy Story 3 is just tense from beginning to end. 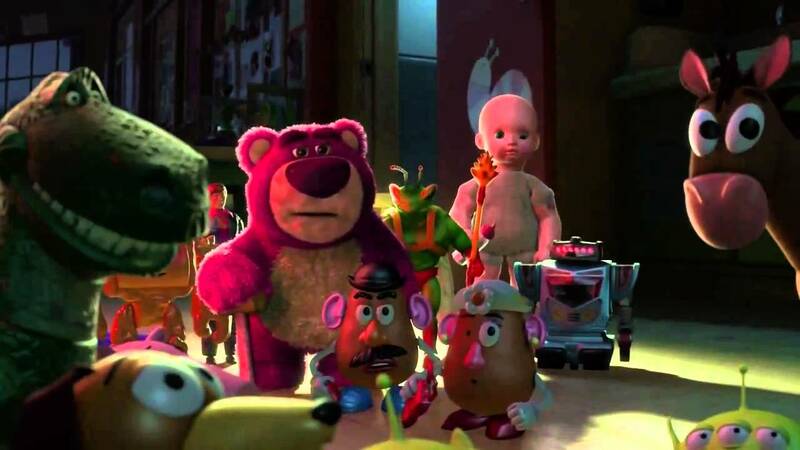 I believe that Lotso is one of the greatest villains of film history. I love him so much and I understand the motivation of the character more than just about any villain. Lotso is so great, but there is more here than just Lotso. Our favorite toys find themselves in all kinds of horrible situations. In fact, there was one scene in particular where, when I watched it for the first time, I actually thought that Buzz, Woody and the gang were really going to die. There are some truly dark moments that had so scare some of the kids watching. Then, the ending when Andy gives his toys away before leaving for college crushes you emotionally. Toy Story 3 may be as close to perfect as you will get. Honorable mentions: A Bug’s Life, Monsters Inc. and Good Dinosaur (a film that some people hated but I think gets a bad rap).